Download "ITEM P/N DESCRIPTION CHF. Q"TY Note 1 QS C Bolt M6*P1.0*25L 2 QS C Bolt M6*P1.0*30L 3 QS T0 Asm." 1 0 0 0 D-:CYLINDER HEAD QS000000C Bolt 0. M*P.0*L QS C Bolt 0. M*P.0*0L QS0T0 Asm., Head Cover.0 QSS000 Gasket, Head Cover. QS C Nut 0. M*P.0 QS0000U00 Washer. QS00000C Stud. QS Bearing, Ball. QSS000 Pin, Dowell. 0 QSS000 Seat, Valve, Spring, Outer. QS0B000 Seal, Valve. QSS000 Clip, Retainer. QSS000 Spring, Valve, Outer. QSS000 Retainer, Valve, Spring. QS0000 Pin, Dowel. QSS000 Cover, Head, RH. QS00 O-Ring. QS C Bolt 0. M*P.0*0L QSS000 Gasket, Cam Cover. 0 QS000000Z00C Bearing, Ball. QS00N000 Plug, Spark. QS000 O-Ring. QSS000 Insulator, Cylinder head. QS000 O-Ring.0 QS00N000 Asm., Manifold, Intake 0. QS000 Strap.0 QSI000 Adapter, Carburetor. QS C Stud. 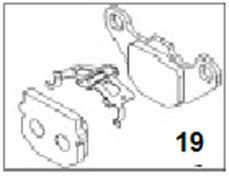 M*P.0*0L QS0000 Bracket, Brake Switch. 0 QSS000 Valve, Intake. QSS000 Valve, Exhaust. QS00E0 Asm., Cylinder Head. QS00000C Stud. QS C Nut. QS0S000 Gasket Set. QS000 Pin, Dowel. φ0*l QS00S000 Cylinder. QS C Bolt 0. M*P.0*0L QSS000 Gasket, Cylinder. 4 D-:CRANKCASE QS000000C Bolt 0. M*P.0*L QS00N000 Barrier, Crankshaft. QS0N000 Spring, Barrier. QS00N000 Pin, Barrier. QS C Bolt. M*P.0*0L QS0U000 Bush, Kickstand. QS00000B Stud. QS0U000 Collar, Shaft, Swing. QS00 O-Ring 0. *. 0 QS0U000 Bush, Rubber. QS0U00 Crankcase, Rh. QS000 Screen. QS000 Spring, Screen. QS0 O-Ring. QS000 Plug, Drain, Oil. QS000 Pin, Dowel. φ0*l QSU000 Gasket. QS00FKM Seal, Oil. QS000000C Bolt 0. M*P.0*L 0 QS Washer. QS Bearing, Ball. QS Bearing, Ball. QS Bearing, Ball. QS00 Clip. *. QS0N000 Fuel Hose, Discharge. QS0N000 Bracket, Carburator Tube. QS000 Pin, Dowel. * QS000 Bushing. QS00A0 Filter, Oil.0 0 QS0A000 Bolt, Oil Filter. QS000C Bolt.0 M*P.*L QS0000L Washer 0. φ.*φ. *t QS0U000 Crankcase, Lh. QS00000B Stud. QS000000C Bolt 0. M*P.0*L QS0000 Ground Cable, Battery. QS0000 Bracket, Brake Switch. QS000FKM Seal, Oil. 12 D-:TRANSMISSION QSU000 Pinion,Output. QSU000 Gear,Output. QSU000 Shaft, Drive 0.0 QS0U000 Asm., Shaft, Counter. 13 0 0 D-:WATER PUMP QS000000C Bolt 0. M*P.0*L QS0N000 Sensor, Thermosatic. QSN000 Housing, Thermosatic. QS0 O-Ring. QS00U000 Bimetal, Thermosatic. QS0N000 Flange, Thermosatic.0 QS C Bolt 0. M*P0. *L QS00 Clamp. QS00T000 Hose, Bypass, Thermosatic. 0 QS0000 Cable 0. QS C Bolt. M*P.0*0L QS000000C Bolt 0. M*P.0*L QS000000U Washer. φ. *φ*t QSU000 Flange, Water Pump. QS0A000 Gasket. QS000 Pin, Dowel. * QS0A000 Impeller, Water Pump 0. QS0A000 Seal, Mechanical. QS000 Seal, Oil. 0 QS0000 Bearing, Ball 0.0 QS0A000 Shaft, Water Pump. QS Bearing, Ball. QS00R Clip, Cir. QS0A000 Body, Water Pump. QS000 O-Ring. *.0 QS0U000 Asm., Water Pump. QS0A000 Clamp. QS0U0 Hose. QS0U000 Spring, Coolant Hose. 14 D-:ELECTRIC FUEL INJECTION QS000000C Bolt 0. M*P.0*L QSI000 Adaptor, Fuel Injector 0. QS0N000 Fuel Injector. QS0I000 Sensor, Water Temperature. QS000S000 Asm., Throttle Body. QSR000 Mount, T-Map. QSR000 Sensor, T-Map. QS00S000 Valve, Idle Air Controller, IAC. QSR000 Sensor, TPS. 18 D-:SIDE COVER QS0S0 Cover, Battery. QS00000K Screw 0. M*L QSU00 Floorboard, RH 0. QS0S0 Mount, Signal Light( R). QS0U Veneer, RH. QS00000K Screw 0. M*L QS000B Nut-U. QS000000K Bolt 0. M*P0. *L W/Washer QS00U0 Panel, Side, RH. QS00U. QS00U. QS00U. 0 QS000000K Bolt 0. M*P0. *L W/Washer QS0000 Spacer. QS K Bolt. M*P.* QS0S Cover, Rear handle rack. QSS0 Cap, Plastic.0 QS0S0 Sissy Bar. QS0S. QS0S0. QS0S. QS00000 Bolt. QS0U0 Visor, Taillight. QS0U. QS0U. QS0U. QS00U0 Panel, Side, LH.0 QS00U.0 QS00U.0 QS00U.0 QS0U Veneer, LH. 0 QS0U000 Floor. QSU00 Floorboard, LH 0. QS000000K Bolt. M*P.0*L W/Washer QS00000K Washer. φ.*φ.*t. QS000000K Bolt 0. M*P.0*L QS000000K Washer. φ. *φ*t QS0B00 Shield, Chassis. QS0S000 Mount, Signal Light(L). 24 0 0 D-:A-ARM QS K Bolt 0. M*P0. *L QS0S000 Stopper, Bearing, Front A Arm. QS K Bolt. M0*P.*0L QS000000LLU00 Bearing, Ball. QSS00 Front A Arm 0. QS00RNA00 Bearing 0. QS00 O-Ring. φ.x. QS0S000 Bolt.0 QS000000K Nut. M*P. 0 QS0000K Washer 0. QS0000NBR Seal, Oil. QS0000 Tube, Spacer. QS0000 Bearing, Needle. QS00000LLU00 Bearing, Ball. QS00R Clip, Cir. QS0000NBR Seal, Oil. QS0000 Spacer. QS0000 Washer..*0*mm QS000K Bolt. M*P.*L 0 QS000000K Washer 0. φ0. *φ*t QS C Nut 0. M0*P.
26 D-:STAND QS00U0 Spring, Mianstand. QS00000 Spring, Mianstand. QS Fuel hose. QS0S Collar, Distance. QS0S000 Shaft, Mainstand. QS K Bolt. M*P.*L QS00S00 Mainstand. QS00 Pin, Cotter 0. 27 0 0 D-:REAR WHEEL QS000K Nut. M*. QSU000 Spacer. QS000NBR Seal, Oil. QS00R Clip, Cir. QS0000LLUC Bearing, Ball. QS000S0 Arm, Swing. QS000 Bushing. QSU000 Fastener, Speedometer Sensor. QS K Bolt 0. M*P.0*0L 0 QS000000KL Bolt. M0*P.*L QS000000K Washer 0. φ0. *φ*t QS0000 Bolt. QSU000 Disc, Brake. QS000NBR Seal, Oil. QSU000 Spacer, Axle. QS000000B Washer. QS0S0 Rear Rim(Aluminum) 0. QS0000 Valve, Rim. QSS000 Tire 0. 0/0-" 0 QSU000 Rear Fender. QS000000K Bolt 0. M*P0. *L QS000000K Screw 0. QS000B Nut-U. QS0T000 Rubber, Seat 0. QS0S Rear Fender. QS000000K Bolt. M*P.0*L QS00 Rubber, Seat. 31 QUADRO S D-:WINDSHIELD ITEM 0 0 P/N QS000000K QS0000 QS0000 QSS00 QSS0 QSS QSS QSS QS00000K QS000000K QSS000 QS000B QS0S0 QS0S QS0S QS0S QS000000K QS000000K QS00S0 QS00S QS00S QS00S QS00 QS000 QSS000 QSS000 QS0S00 QS0S QS0S0 QSS000 QSS000 QS0000 QSS000 QSS000 QS00000T QS0000 QS000 QS0S000 QS000000K QSS000 DESCRIPTION Bolt Tube, Spacer Grommet Screen Front Shield Lateral (RH) Screw Bolt Front Shield Upper Element(RH) Nut-U Panel, Bottom, RH Bolt Washer Front Cover, RH Pin, Cotter Pin Plug, Rubbe, Hood Cover, Glove Box Rubber, Parking Brake Lever Cover, Main Switch Glove Box Inner Box Rubber Seal, Glove Box Cover, Heating(R) Cover, Heating(L) U-Nut Rubber Seal, Glove Box Pin Fastener, Small Storage Box Screw Radiator Cover, LH CHF Q"TY Note M*P.0*L W/Washer 0 M*P0. *L W/Washer M*P.0*L W/Washer φ. *φ*t M*P0. 33 0 0 D-:ASM SPEEDOMETER QS00000K Screw 0. M*L QS0U000 Switch, Handle, RH. QS00000K Screw 0. QS00000K Screw 0. QS0U000 Switch, Handle, LH. QSS000 Pod, Upper, Handlebar.0 QS000000K Bolt 0. M*P0. *L W/Washer QS000B Nut-U. QSS000 Cover, Handlebar, Lower. 0 QS00000 Relay, Signal. QS000 Foam, battery 0. QSS Pod, Handlebar. QSS0. QS00000 Bracket, Speedometer. QS00000 Bracket, Speedometer. QS00000 Sensor, Speedometer. QS000000C Bolt 0. M*P0. *L QS00000 Magnet, Speedometer. QS0000 Speedometer 00. QS00000 Asm., Speedometer. 0 QS0000 Speedometer Cover. QS000 Coolant Meter. QS000 Thermometer 0. 34 0 0 D-:LIGHTS QS00S000 Asm., Signal, Front, RH. QS000000K Washer 0. φ0. *φ*t QS K Nut. QS0S000 Asm., Signal, Front, LH. QS00S000 Asm., Headlight. QS00000 Led Light Comp. QS0000 Bulb, Headlight. QS0000 Tube, Spacer. QS0000 Grommet. 0 QS K Bolt. QSS0 Foam. QS00U00 Asm,. Taillight. QS0000 Led Light Comp. QS000B Nut-U. QS00000K Screw 0. M*L QS0U00 License Plate. QS K Nut 0. M*P0. QS000000K Washer 0. φ. *φ*t QSU000 Guard, Mud QS000000K Bolt 0. M*P0. *L QS000000K Washer. φ. *φ*t QS000000K Bolt. M*P.0*L W/Washer QS00000 Asm., License Light. QS000000K Bolt 0. M*P0. *L QS C Nut 0. M*P0. QS000000K Washer 0. φ. *φ*t QS0000 Reflector. 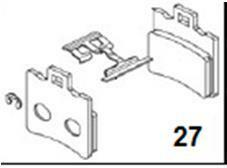 36 0 0 0 D-:ELECTRICAL PARTS QS00000 Harness, Main Wire.0 QS000000K Bolt 0. M*P.0*L QS0E000 Electroni Control Unit, ECU 0. QS K Nut 0. M*P.0 QS00000 Starter Relay. QS0000 Lamp, Storage Box. QS000000K Washer 0. φ*φ*t QS K Nut 0. M*P0. QSU000 Switch, Lamp, Storage Box. 0 QS000 Strap 0. 0 ALT-00M-B QS000 Strap. QS00000 Relay, Parking. QS0S000 Power Supplier. QS K Bolt 0. QST000 Asm., Ignition Coil 0. QS00T000 Cap, Spark Plug.0 QS0T000 Insulator Coil. QS0000 Foam, battery 0. QS0000 Rubber Tube. 0 QS0S0 Bracket, Battery. QS00A000 Battery. AH QS0000 Asm., Battery Cable. QS K Bolt 0. M*P.0*0L QS0U0 Relay, EFI. QS C Bolt 0. QS0000 Spacer 0. QS00000 Foam 0. QS C Nut 0. M*P0. QSU000 Switch, Topple Over. 0 QS0000 Wire, Diode, Fan. QST000 Relay, Thermo Switch.